Initially designed to test several gameplay elements for another project, this game won the old TGC Best of the Best award for FPSCreator games. (In hopes any of my readers remember that 🙂 ). I ended up fleshing it out some more, adding a simple plot and releasing it on the forum. Little did I know that nearly all of my ambitious projects would never get released and these little test and demo games would be all that would ever find players. Oh well! I have released this at a time where a lot of FPSC games where rather slow paced and clunky, it thus had quite a few players checking it out which was an immense compliment to me. Story: You play as a Mercenary hired by a secret agency sponsored by several governments. Having made a name for yourself in the organisation you are assigned a solo mission to break into an obscure terrorist organisation called “Tollwütige Schakale” to recover a laptop with vital intel by any means necessary. 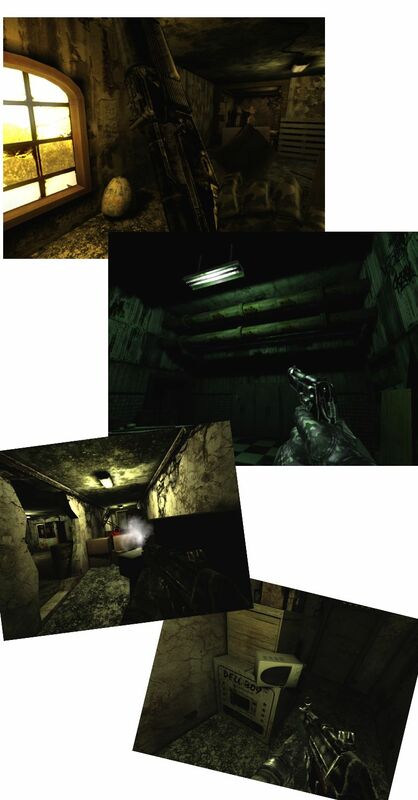 This entry was posted in Released Titles, The Archive and tagged airmod, bananasplit, Deprivation:Direct Action, direct x9, Errant AI, fenix mod, first person shooter creator, fps, fpsc, fpscreator, fpscx9, free fps game, freeware, grunge, indie game, the game creators. Bookmark the permalink.